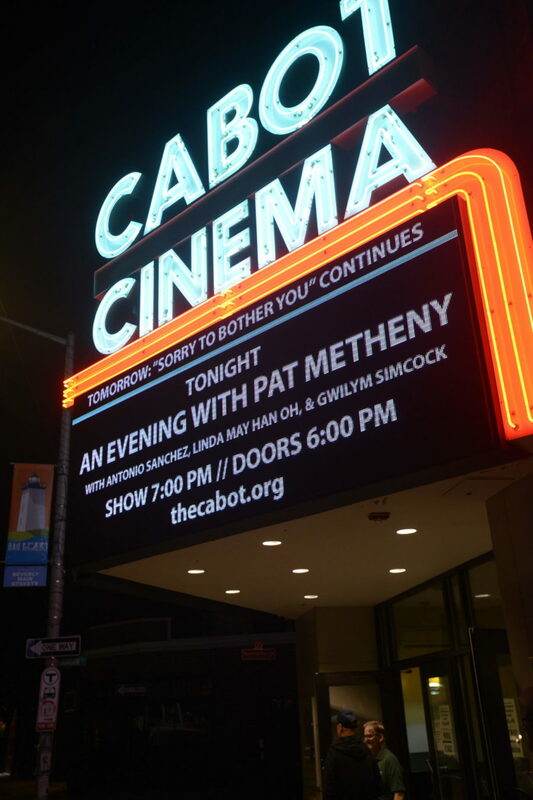 On a very special night at the intimate and newly renovated 1920s Cabot Theater, in Beverly, MA., a sold-out performance was delivered by extraordinary jazz virtuoso, musician, composer and phenomenal guitarist, Pat Metheny. A highly respected musician among his peers and now a veteran, having received all accolades including 20 Grammy Awards, was just launching a new tour with an exceptional younger generation quartet. The evening’s performance would showcase this talent, which included Gwilym Simcock on piano and keyboards; Linda May Han Oh on bass; and, since 2002, Metheny regular Antonio Sanchez on drums. 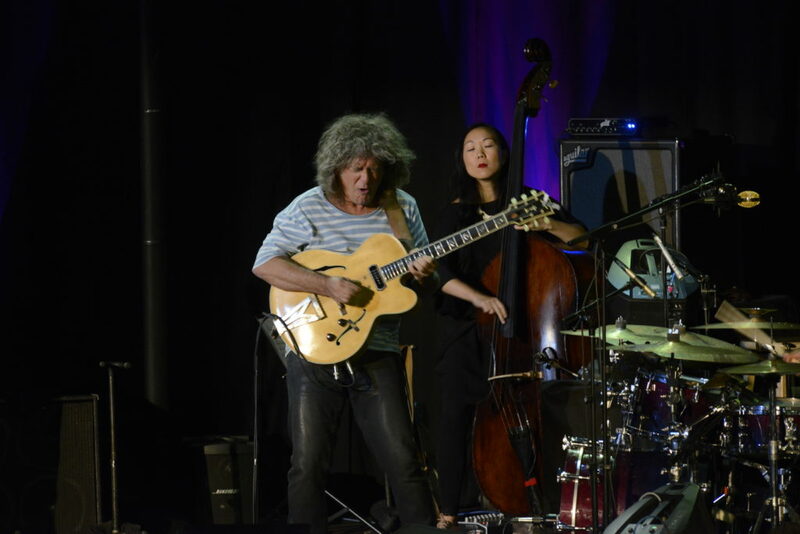 Metheny was in a sense reliving top-drawer selections from past recordings by the Pat Metheny Group and his solo career, but with a new infusion of musical blood. 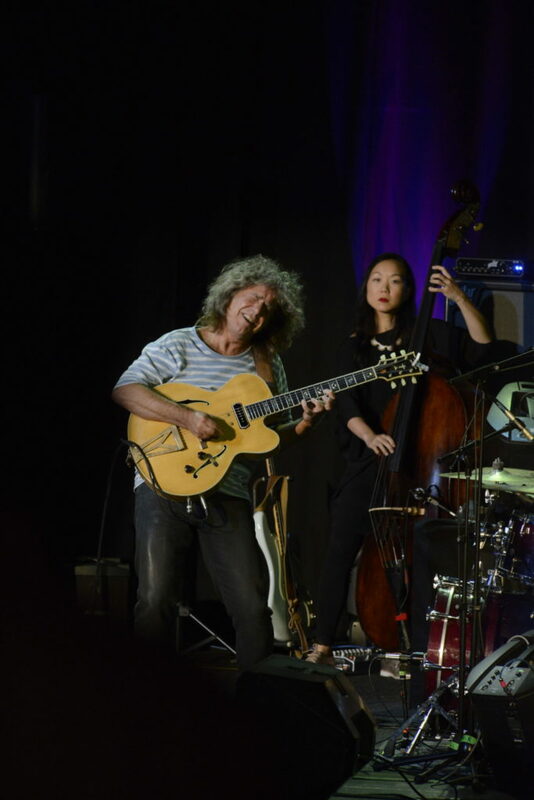 For those following his long and stellar career, Metheny, having played with so many creative past and present musicians of exceptional ability, was now sharing past work with reinterpretations in a smaller setting—not carrying the burden of expectations with a “reunion” tour label. A remarkable set list would follow, including many favorites but also quiet acoustic guitar-only pieces and closing with some fiery jazz-rock synthesized soloing and exchanges with his band members. Opening the evening with a sense of comfort with his audience, Metheny sat alone at the front of the stage with his double-necked, 42-string Pikasso guitar, allowing him to simultaneously play a harp-like set of strings with a free hand while using his right hand to pick a standard 6-12 string fret board. He had a packed house immediately in his rapture and command of this instrument, beautifully alternating the tone of a harpsichord to acoustic guitar. A treat to see live if just for the realization of the musicianship involved, aside from the exquisite sound from Metheny’s amazing touch and feel for this instrument. Next, jumping up from his stool, he quickly brought out his quartet team and grabbing his signature Ibanez hollow-body electric guitar, launched into several well recognized compositions that brought applause and cheers from a capacity crowd. Taking his audience into masterly renditions of the Pat Metheny Group compositions, including “Have You Heard” from Letter From Home(Geffen, 1989), “James” from Offramp (ECM, 1982) and “Lone Jack,” from the Pat Metheny Group (ECM, 1978), there were also surprises such as a rare performance of “This Is Not America,” from Metheny’s soundtrack to the 1985 film The Falcon and the Snowman. With his infectious wide smile of joy and wild mane of hair, and scaling his guitar neck with a frenzy of dense chord changes and filling-in riffs in between, the true strength of these seminal songs came through. 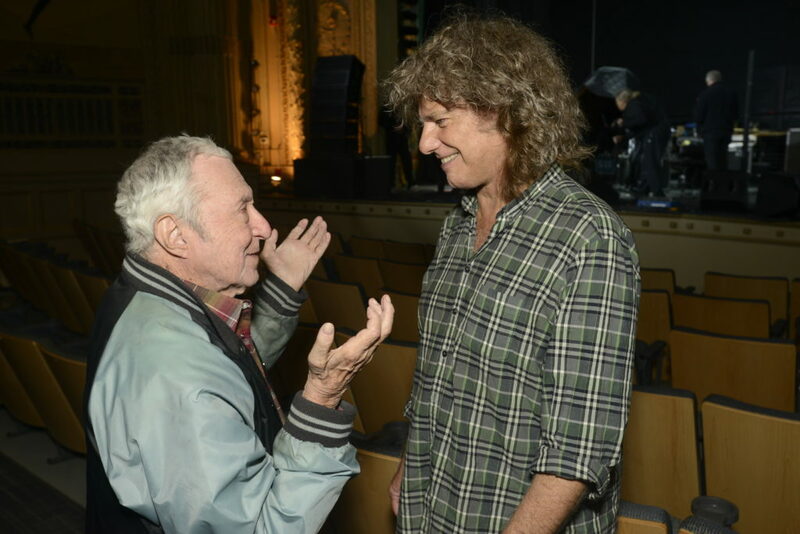 Also, with regular and typical generosity, Metheny engaged all three musicians in soloing opportunities and one-on-one exchanges with him, carrying on a musical conversation that was spontaneous and poignant to hear. Onstage, Metheny was less “mentor to student” and more ” here’s what I’ve learned over 40-plus years—show me your version of my song.” At the break, speaking to the audience, Metheny further reflected: “I had no idea that these musicians would show me other takes on my music and mining new ways of playing it.” It was, in his own words, this “chemistry” that became the catalyst for him to take to the road again, and begin a tour with these special musicians. After band introductions, Metheny took time to reflect back on his Boston roots and first opportunities to perform live with a then completely unknown band, seeking a break towards their first recording. He credited legendary Boston-based jazz promoter Fred Taylor (who was in the audience that evening) with giving him and his band (which included the late legendary bassist Jaco Pastorius and phenomenal drummer Bob Moses) their first shot, booking them at his music venues Pall’s Mall and The Jazz Workshop in the 1970s. Closing the set, Metheny returned to featuring the tight musicianship of his quartet, with nuanced piano interplay from Simcock, and a more mellow and reflective sound on double bass by Oh, coupled with highly energized rhythmic percussion from Sanchez. 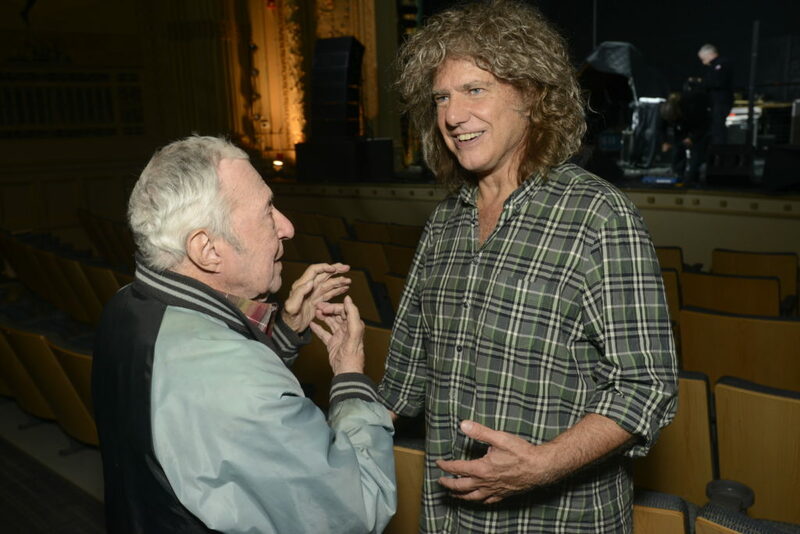 Metheny then switched to his synthesized mode, wielding his familiar Roland G-303 Guitar Synthesizer and finding a harder jazz-rock fusion edge, with an extended exchange with Sanchez’s superbly channeled drum beats. A treat for all to hear and a particularly generous set in length. 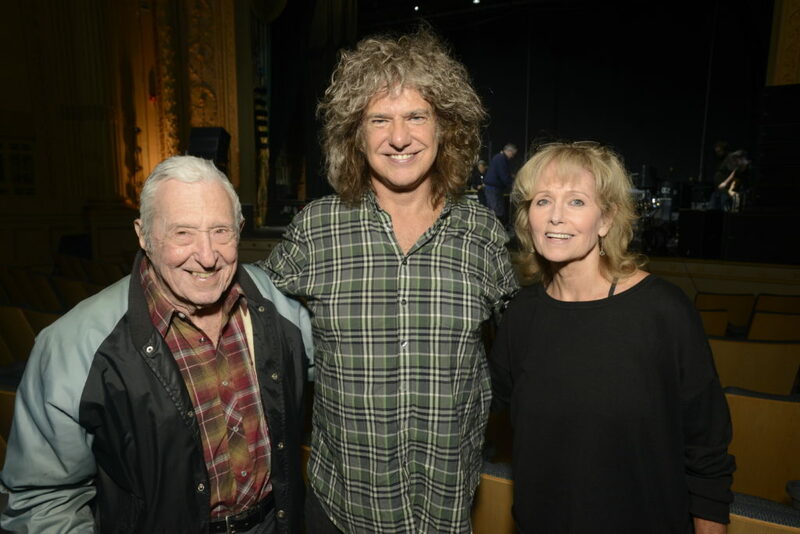 Pat Metheny’s intensity and joy for playing live was all there, with a musical gift on guitar that kept on giving and was equally amazing – sharing it with a loyal audience that night and also introducing a group of relatively younger musicians to his muse at 64.